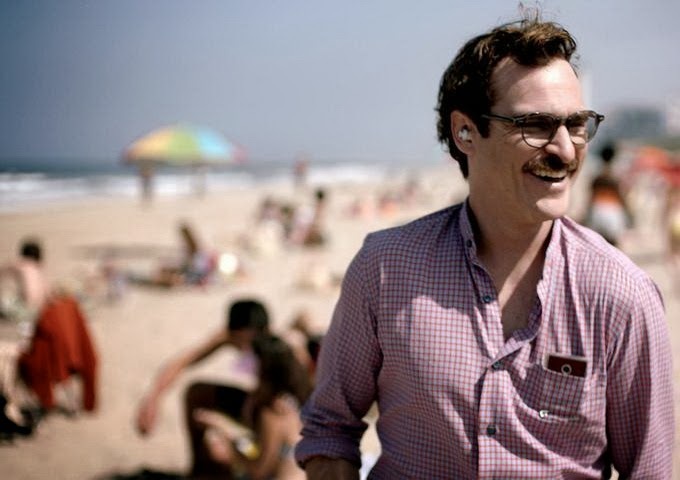 The movie’s official poster calls Her “A Spike Jonze Love Story.” The decidedly unofficial “honest” movie poster created by Uproxx calls it “a two-hour closeup of Joaquin Phoenix’s face.” More on that in a bit; for now I’d like to focus on the official tagline. Jonze (of the genre-bending—and genre-shaping—Being John Malkovich and Adaptation) is a filmmaker with an astute sense of the absurd. His films are genuinely provocative, brazenly original and bravely inquisitive, and Her, Jonze’s screenwriting debut, is no exception. But the film also offers one of the loveliest romances ever to have graced the silver screen. The fact that it transpires between a man and his software only increases my admiration for the delicacy and depth of feeling packed into the relationship, a brilliant conceptual gag that proves nonetheless sincere and completely plausible. Wildly inventive, challenging and engaging, this subtly profound film follows its own quirky, amusing course. It’s a melancholy, eerie love story unlike anything else you’ve seen this year—or ever. In Her’s opening shots, Theodore Twombly (Joaquin Phoenix in a quietly heroic, beautifully hushed performance), is making an unabashed declaration of love to an unseen beloved. The actor, as well as his character, is unaffected, sincere, disarming. We quickly discover, however, that his lovely words are not addressed to his beloved at all, that this is what Theodore does for a living; the character is a latter-day Cyrano writing heartfelt notes-for-hire at BeautifulHandwrittenLetters.com (the handwriting all computer-generated, of course). The cuteness is instantly turned to cynicism, in a movie that is both visionary and traditional, tender and cool, passionate and wispy. Like the lingering analog affection for handwriting in a digital age, Her argues for both the past and the future, with a soulfully poetic spirit that’s become extremely rare in American cinema. As demonstrated by his occupation, Theodore is acutely attuned to other people’s inner feelings, writing out the most intimate thoughts that people he’s never met could possibly have. He’s less attuned to his own feelings. Theo’s default setting, you see, is isolation. “I miss you,” his only friend Amy (Amy Adams, unrecognizable from her portrayal of a self-invented sexpot swindler in David O. Russell’s American Hustle) tells him. “Not the sad, mopey you. The old, fun you.” The character is still getting over the breakup of his marriage to Catherine (Rooney Mara), and is in the process of falling in love with his artificially intelligent operating system, which calls itself Samantha (voiced beautifully by Scarlett Johansson, sliding from girlish squeakiness to seductive, smoky lower registers at will and creating a complex, full-bodied character without any body at all). The peculiar triumph of the film is that this affair is seen as only mildly odd. The software enters Theodore’s life almost accidentally and, like so much technology today, makes him wonder how he ever lived without it. Samantha, however, does more than reorganize Theodore’s files; she also listens to him, commiserates and advises, makes him laugh, and starts to develop real emotions and something like human consciousness. The most seductive and unnerving part of this whole enterprise is that the OS can not only match the conversation, intimacy, and satisfaction of non-virtual relationships, but might even be better. Theodore’s initially promising but ultimately ill-fated blind date (with Olivia Wilde) certainly proves relationships with human beings can be more demanding and messier than anything we can channel through a handheld device, and Her has the daring to ask if it’s worth it. The movie burrows deep into the give and take of relationships and the eternal dilemma of knowing one’s true self, in or outside of a couple, developing into a crash course on what it means to be human, and what it means to love. More than anything else, Her is about loneliness and about our compulsion to overcome it, about the need to connect in a digital age when we’re always plugged into some device but distance ourselves from actual human interaction. The film asks the right questions, and, rightly, doesn’t answer them. Does technology foster alienation, help surmount it, or—if it’s even possible—both? We see people listening to headphones and responding to invisible companions all day long. Jonze just takes it one step further. The environment of the movie is only an intriguing step or too ahead of contemporary reality. Jonze doesn’t necessarily strive for scientific or cultural coherence, instead creating a beguiling cinematic world of the not-too-distant but distinctly fantastical future. The filmmaker fashions a fully imagined and constructed universe that vaguely resembles our own (in all but the efficient L.A. mass transit system), a universe of smoggy skies thick with modernistic, steel-and-glass high-rises and hazy, glittering skyscrapers. In a way, Her’s setting creates a wholly positive counterpart to the recent Elysium’s social and urban malaises. Jonze and his superb—and, thankfully, Oscar-nominated—production designer, K.K. Barrett, haven’t quite reinvented the world, but rather ingeniously embellished ours. Everything is simultaneously familiar and unfamiliar. Judging from the film’s trailer, I was expecting it to be more like Lars and the Real Girl. I was wrong. Theo does feel a bit odd at first about his new “girlfriend,” but soon discovers he is not alone. Amy is also developing a friendship with her husband’s OS, and, apparently, there are thousands out there in love with theirs. The character is surrounded by solitaires, all alone together. A more apt comparison to Her would be Michel Gondry’s Eternal Sunshine of the Spotless Mind, especially in its dreamy tone, offbeat romance, slight satire, stylistic flourishes, and visual panache. Hoyte Van Hoytema’s muted but vividly tactile cinematography is gorgeous, made up of understated colors, mellow yellows, tranquil tangerines, and neutral tones of blue and gray peppered with flashes of bright red. All soft focus and diffused lighting, the images are infused with an ethereal, enchanted quality, and the strange, melancholy score (by Arcade Fire) casts a spell of its own. Phoenix, perhaps the greatest of all screen enactors of exquisite isolation, here is unprecedently touching, open, and vulnerable, pulling an impressive about-face from the tortured eccentricity of his role in P.T. Anderson’s The Master. With a neat moustache, horn-rimmed glasses, slumped shoulders and unflatteringly high-waisted pants, the actor paints a harmless, defeated picture, as if the solitude and agonies of this wounded, stunted soul had been drawn from some deep, unarticulated place in Phoenix’s own being. But, as the two hour mark approaches, the tagline of the honest poster becomes more and more applicable. Because Theodore is in a relationship with a non-corporeal confidant, he is often the only person on screen for extended periods of time. By the end, the feeling is this beguiling concept was extended beyond its natural breaking point and spread a bit thinly throughout the sobering but surprisingly soft conclusion. One of the biggest, most ardently burning questions of the film is only implied. In Her, machines can think, but can humans still feel? Just look around the next time you go out for dinner. How many two-, three- or four- person tables are there full of people eating “together” while staring into two, three, or four separate screens? 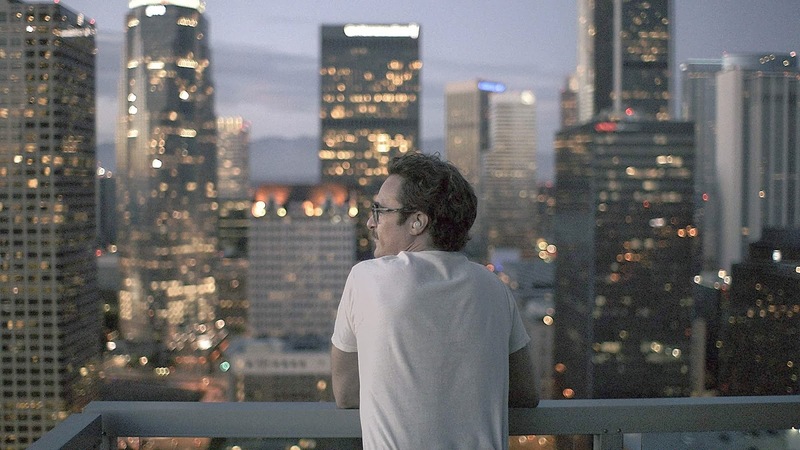 Jonze’s futuristic love story cuts to the heart of how we live now. Thankfully, when I ask Siri if she’s a woman, she still tells me gender is for nouns and animals.